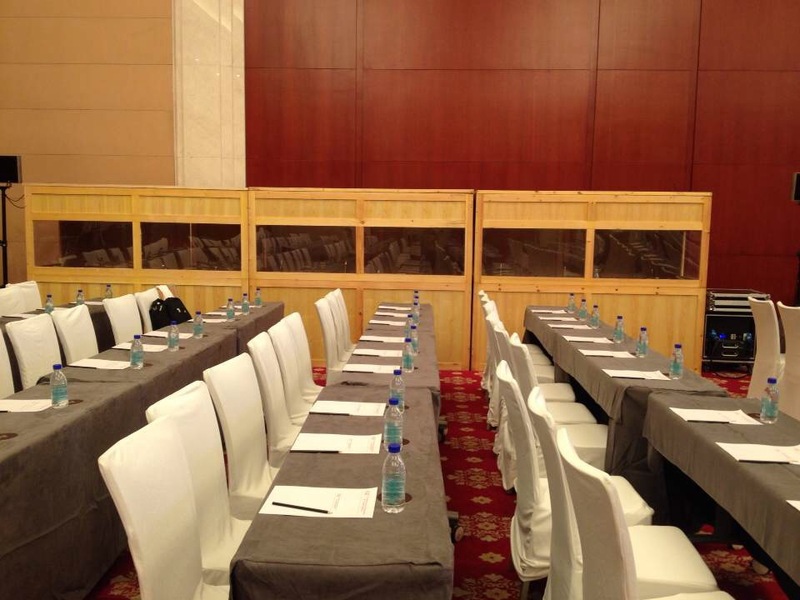 1- Our professional and experienced simultaneous interpreters have more than 5 years'experience and also have professional education background like business, foreign trade, management ,energy,finance etc. East China : Shanghai, Ningbo, Wenzhou,Yiwu, Suzhou, Hangzhou,Nanjing, Wuxi,Kunshan,Shaoxing, yongkang,taizhou etc. South China: Guangzhou, Shenzhen, Xiamen, foshan, hongkong, li jiang, dali ,Kunming etc. West China: Guiyang, Nanning, Urumqi, Lanzhou, Chengdu etc. Thank you for your excellent work and we expect to work with you for next trip. What also impressed me aboutElizabethwas her passion for conveying the sanme emotion, nuances,and message of the presenter she was working with. When combined with a thorough understanding of the material and content derived by long hours of review and study in advance of the program and each evening during the program, the result was compelling confidence and credibility for herself, the presenter and CSI. I'd like to thank our simultaneous translator for the wonderful job done today, and his name is Jason. I had the pleasure of working with Susan on multiple trips toShanghai. Susan is very professional and likes her job. Having Susan as our translator made the trip seamless and enjoyable, she knows all the great places throughout Shanghaiand the surrounding areas. Shes also not afraid to put in some long hours. I look forward to working with Susan on our next trip. 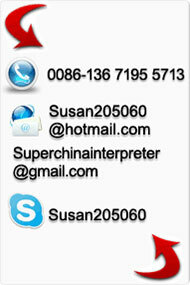 Hi Susan,Victoriawas very professional, everybody like her during the job. It�s good to hear from you.In every respect, Susan did an excellent job as our interpreter. She was always friendly and professional, so everyone felt comfortable working with her, including the CEO of the Chinese company with which we were negotiating. And she had no problem communicating clearly about technical subjects and sensitive business issues.I recommend Susan to any companies doing business inShanghaiand nearby cities.